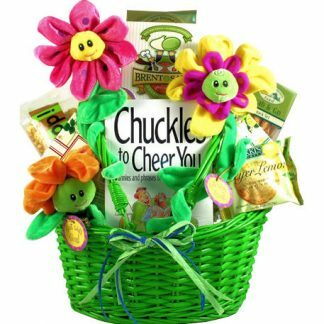 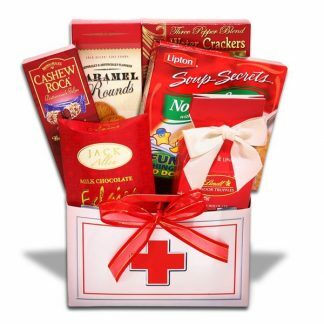 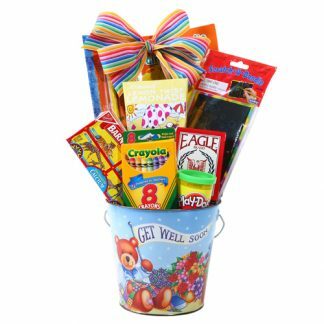 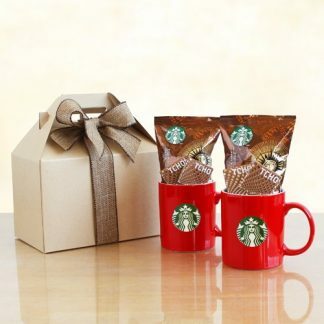 The perfect gift to cheer them up when they are under the weather. 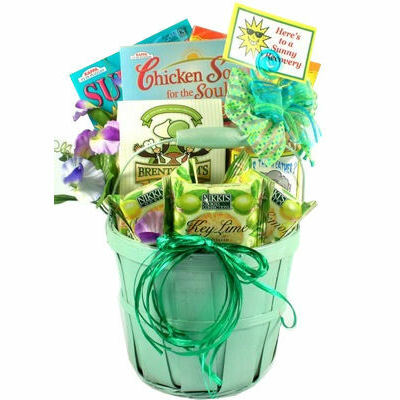 This hand painted wooden planter with liner arrives filled with a Sudoku Puzzle Book, a Super Wordoku Puzzle Book, a “Chicken Soup for the Soul” Word Find Book and the following Kosher gourmet goodies; refreshing Key Lime Shortbread Cookies, Meyer Lemon Shortbread Cookies, Key Lime White Chocolate Cookies, a bag of “Under The Weather?” nutty gourmet Snack Mix and French Vanilla premium ground Coffee! Gift contains all Kosher Products.